Got the grill fired up and looking for a quick dessert? 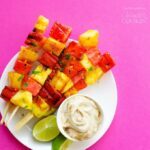 These Grilled Watermelon Pineapple Skewers have just 4 easy ingredients and are dipped in the most deliciously simple yogurt sauce! Pair it up with a homemade Pina Colada for a refreshing and relaxing summer BBQ! I think as a foodie you’re supposed to love all the foods. But there’s just one food I can’t get on board with…watermelon. Something about the texture does not do it for me. Or any melon for that matter. But I’ve found a method for completely revolutionizing the texture (and flavor!) of watermelon that’s right in line with summertime eating…grilling! Grilling watermelon gives it a deeper sweetness while also making the texture a bit…more dense and rich? I’m not describing this well, but that’s just because it is indescribable, guys. 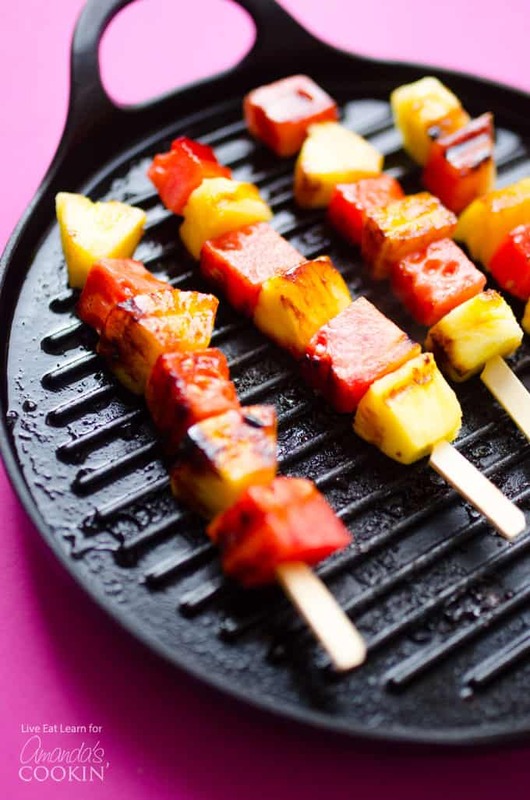 So when you’re firing up the grill this summer, do yourself a favor and throw on these simple Grilled Watermelon Pineapple Skewers! We’re keeping the ingredients list to a minimum today. Just fruit and a simple honey-lime glaze. That sugary glaze is going to help caramelize the fruit while giving the perfect punch of citrus from the lime. And can we talk about the sauce? I mean, THE SAUCE! This is a simple one that I learned from my grandfather. He usually combines yogurt (or sour cream) and brown sugar to create the best fruit dip. 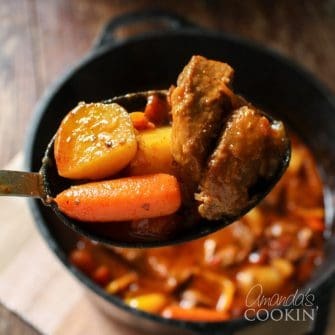 And in the name of today’s simple recipe, we’re taking a note from his book. Find more summer-inspired recipes using fruit below! Got the grill fired up and looking for a quick dessert? 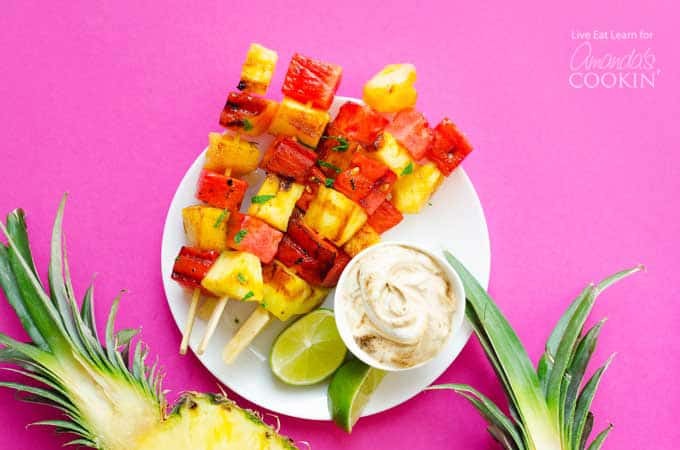 These Grilled Watermelon Pineapple Skewers have just 4 easy ingredients and are dipped in the most deliciously simple yogurt sauce! Skewer fruit onto sticks. Combine honey and lime juice, then brush onto fruit. Grill skewers on the grill or on a medium/high heat stovetop grill pan until they begin to brown and caramelize some. Combine yogurt and brown sugar, and serve with warm skewers for dipping. This sounds soooo delicious. Definitely on my shopping list to make this weekend! Hope you like them Hayley!